I’ve been planning on writing a post about the biggest and best spring fashion trends, but this one I’m loving so much, I just had to give it it’s own post! I’ve been ignoring the flared jean trend pretty hard…. up until now. Two reasons: First, I’m a definite skinny jeans girl and second, I really don’t want to have to buy all new jeans! However, the cropped, flared jeans have captured my heart. It has surprised even me, but I’m loving the look for spring. If you are going to give in to one trend for 2016, I think this is the one. They’re chic, flattering, and they go with almost any shoe! 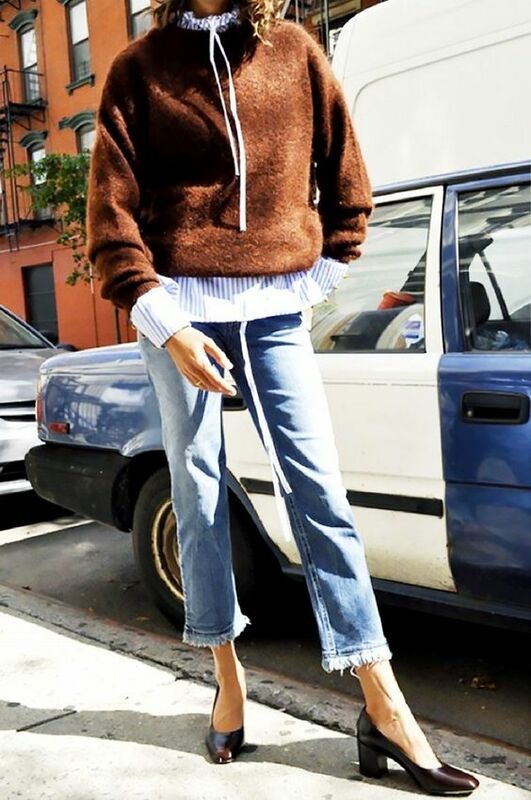 It’s a great way to add the flare trend without going too far, and who doesn’t love any capri or cropped pant in the springtime? They look great with a jacket and pointy high heel for evening. This is literally wearable for almost anyone! This could take you to lunch, or dinner, or even to work if your workplace is not too conservative. I love them with the blocky heel! The cropped, flared jean is a perfect match with the blocky heel! The frayed version is just so cute! Here they work in the fall with booties as well. Totally love this look! And you look gorgeous! The jeans are damn fine and the coat your wearing is the perfect finishing touch! I just bought them yesterday! I'm hoping that they fit well because I'd rather not spend more for a trend that may not last. I think the BR ones look really close to the Rag & Bone, so crossing my fingers! I know, normally I don't gravitate to this kind of look, but for some reason, I am LOVING it! !